Thanks again for your continued support throughout the year. 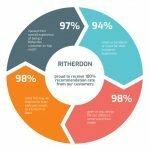 It’s been a very busy year for Ritherdon as our cabinets have been in high demand. We would appreciate if you could order as soon as possible and be guided by the cut-off dates below so that we can make sure you receive your orders before Christmas. Out of Stock items on a 4-week lead time. Made to order products such as FireSeals, or custom RB Cabinets with accessories. Stock items to be painted 5-7 working day lead time. RB cabinets and R/RH Pillars that must be powder coated to customer chosen colour. Finished stock items on a 48-hour lead time. Door and Frame Meter box repairs units and Meter Boxes. *The products listed are examples only and the list is not exhaustive. Stock moves quickly and lead time will depend on the stock at the time of ordering. We would also like to advise that the factory closes for the Christmas break from the 21st of December up to January 1st January. 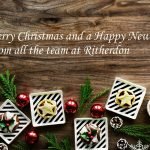 Please give us a call on 01254819100 and we will be happy to help with your end of 2018 orders or advise further for any projects in the pipeline for 2019.